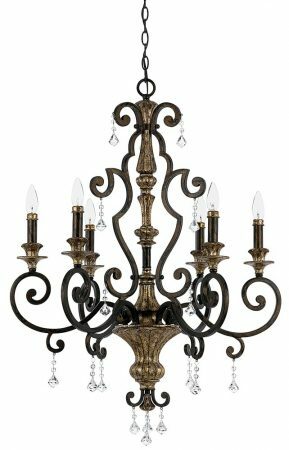 The Quoizel Marquette large 6 light wrought iron chandelier in heirloom rich bronze finish with crystal drops is designed by Quoizel and supplied by Elstead. With a subtle touch of multi-faceted crystal drops, this refined design is worthy of a stately home. 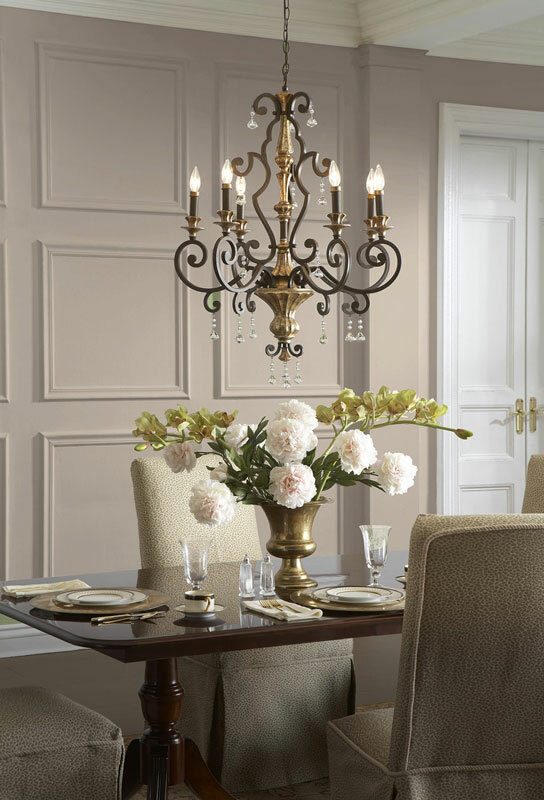 The beautiful Heirloom finish is a rich bronze with antique gold highlights. 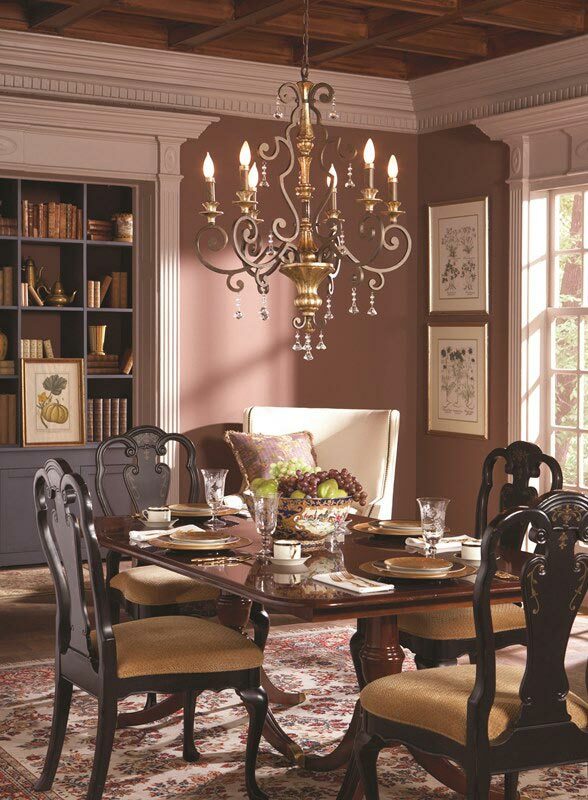 The Marquette period chandelier is a large six lamp chandelier, with a structured wrought iron scrolled frame. Don’t let the image of this magnificent light deceive you, it is a tall, wide chandelier suitable only for a high ceiling space. Rather than a flat black, the wrought iron scroll-work is finished in a rich bronze, with rustic highlights and a subtle gold leaf effect depicting centre features. The six candle style lights are situated on one level, with long slender candlestick holders and finished in delicate crystal droplets. This stunning period chandelier is an absolute must to consider if you have a large reception lounge and high ceilings. With the height of this fitting being 965mm it is recommended you carefully measure the height of your ceiling, to see if you have adequate space. Supplied with 244cm of chain that can be shortened at the time of installation, please see below for exact dimensions. Designed by Quoizel, founded in 1930 in New York. They relocated to Charleston in 1996 where they remain to this day. 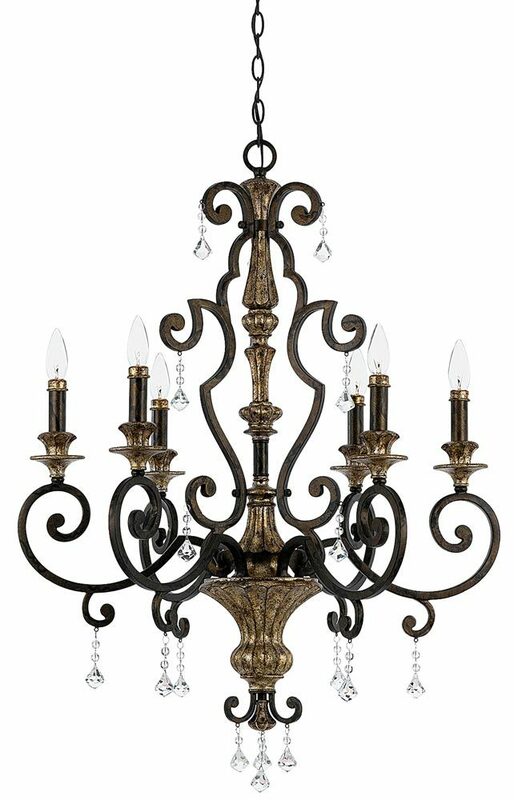 Quoizel products are now being introduced to the UK market and have quickly built a reputation for their diverse, unique and fresh designs like the Marquette large 6 light wrought iron chandelier in heirloom rich bronze finish with crystal drops featured here.